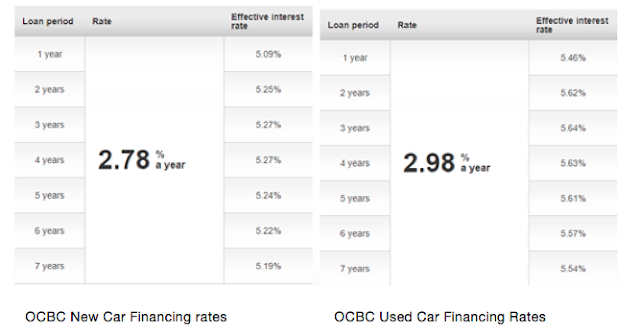 SG Budget Babe: What should you consider before taking out a vehicle loan? What should you consider before taking out a vehicle loan? Not many of us are fortunate enough to be able to pay for our vehicle in full using cash. As a result, we usually have to resort to taking out a loan in order to finance our purchase. A few of you have asked me to write about our own thought process when we got our car last month, so here’s me continuing this as Part 2 of my previous post here. 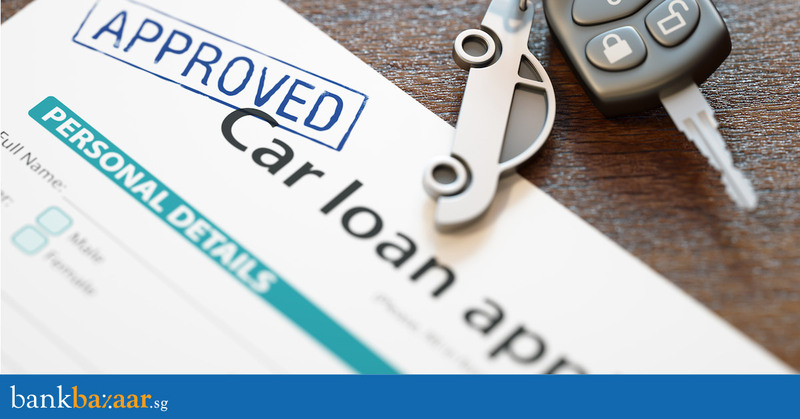 The first thing you’ll want to do before you decide to even go ahead and get that car, is to first check your finances to ensure you don’t end up stretching yourself too thin with loan repayments later on. Liquidity vs. loan interests – What can I afford? Depending on the Open Market Value (OMV) of your car, you can get maximum financing of up to 60% or 70% of the OMV. If the OMV of the car is below S$20,000, then you can get financing up to 70% and cars with OMV of S$20,000; above that is up to 60%. 1. Should I make a larger downpayment in cash and take a smaller loan? 2. Should I spread my repayments over a longer or shorter loan duration? Always be wary of car brokers, because while there are some good dealers around, there are also plenty who are simply out to sell you a junk car and reap fat profits off the sale. Many of the dealers will also offer you stuff like an in-house loan and an extended loan tenure. “So you pay less every month, no need to worry!” they will sing. Please be smart and don’t fall for their tricks. If you have cash to spare, a lower loan quantum and/or a shorter loan tenure will result in you paying less interest at the end of the day. Make sure you read the repayment terms of your loan carefully. For instance, banks such as DBS, POSB and Maybank charge an early redemption fee of 20% of the total interest payable + an additional 1% of the original loan amount as an early redemption fee. You might want to pull out your calculator and look into this before running to the bank with your cheque book. But because I was there, I stopped him from taking all our documents before I was done reading and checking every page. Yes, it took up more of his time, but what’s a few more minutes when they’re earning big commissions from your purchase? Don’t let them make you feel bad for wanting to protect your own interests and make sure you aren’t being scammed. Even if you trust them (but I never trust anyone 100% except myself when it comes to money), please be sure to read though every single page! Yes, I know the document is thick, but if you fail to check and you end up signing your life away to some exorbitant interest rate or dubious terms that you weren’t aware of…no one is going to save you afterward. Should you get a new car or settle for a used car? Of course it goes without saying that used cars are cheaper to own than new cars (under the same category obviously). But are the loans on used cars cheaper as well? Unfortunately, not always. Here’s an example. No matter which loan tenure you choose, you will be making more interest payments on a used car loan when compared to a new car loan. Another aspect that you need to address when deciding between a new car and a used car is that financing options are limited for the latter. The older your car, the more limited your choices become. We got a 10-year-old secondhand car, and many of the more well-established banks did not offer loans for secondhand vehicles that old, so we ended up going with a smaller player (which wasn’t my first choice. I was aiming to go for a DBS or OCBC loan, but we literally had no choice as our car was too old). Almost all top banks including DBS/POSB, OCBC and UOB among others offer car loans for new purchases. However, not all offer the same options for used car purchases. If you’re strapped for cash, a used car might not be the best option for the long haul anyway. Should you decide to extend the use of your car beyond 10 years, you will forgo your Preferential Additional Registration Fee (PARF) rebate, incur an additional surcharge on your road tax and even getting good insurance cover will be a problem. So, with a new car purchase, you don’t have to worry about your car for the next 10 years but with a used car, the older it is, the closer you are to worrying about the exact same situation again if you’re planning to have a vehicle for a long time. Are you planning to keep the car for long or looking to part ways in the near future? This decision can greatly affect all the above considerations. For instance, let’s say you’re not set on retaining your car for more than a few years and looking to change or upgrade to a better car somewhere down the road. Have you accounted for this when choosing your repayment tenure, especially if there are early repayment penalties charged if you terminate early? If you’ve taken a car loan for a tenure of 6 years and are planning to keep your car only for 3, then your plan is flawed; you can either terminate your loan early by paying the outstanding balance and the early redemption fee, or you have to keep the car for the next 3 years. However, borrowing from the previous point, if you’re planning to change your car down the line, a used car might do you some good. That’s because your overall cost to get moving on the road with your car will be cheaper and you can afford a shorter tenure. Getting a used car might even let you save for your dream car without tampering with the convenience factor of owning your own vehicle to get to places. Of course, there’s also the intangible benefits such as not having to worry about train breakdowns, or not being able to get a cab anymore. Who’s paying for the car? Can you afford the monthly repayments? Another important point to consider is if the car belongs to the both of you, or if it’ll mostly be used by your spouse alone. In my case, I hate driving on the roads (especially as road rage by some other drivers towards a female drivers is really terrible) so I was not for the idea of getting our own car at all. However, my husband needed it for work, and we did our calculations before realising that the amount he spends every month on Grab and Uber are almost equivalent to what our friend spends on his car every month (not to mention the inconvenience and stress of not being able to get a ride). Should we spend a bit more money every month for the time savings and convenience that a car affords? After evaluating the decision for months, we finally decided to go ahead. Since my husband will be the only one driving the car, and since he earns a higher income than I do, we both agreed that he will pay for the car in its entirety. Always make sure that you never spread yourself too thin with your loan repayments. If you have to dip into your retirement savings or even borrow just to finance your purchase and loan, then perhaps you might want to reconsider if you realllllllly need it. I hope this helps! Many thanks to the team at BankBazaar.sg who helped to offer some ideas on what we should look out for. Disclaimer: This post was written in collaboration with BankBazaar.sg. All opinions are of my own.